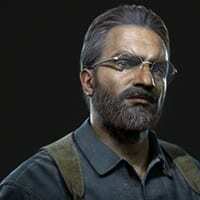 This article contains the Character Page for Asav in Uncharted: The Lost Legacy. Revealed to be the central villain of the game. Haunted by his failures as a government official in the past, he attempts to carve out his name as a rebel in order to procure wealth. The Leader of the Rebels in India. He feels entitled to become the ruler of select places. He can be found digging out whatever artifact that bears cultural significance. Not much is known about Asav other than he despises Nadine and Chloe who he feels is meddling with his plans.